Here's A Sneak Peek Inside Nickyanka's Wedding Venue - The Royal Umaid Bhawan Palace In Jodhpur! Nickyanka is happening, you guys! In what will be one of the biggest weddings of the year, starting from 28 November, we can't wait to see what this jodi has in store for us. Priyanka and her piya from saat samundar paar, Nick, have arrived in the country ahead of their grand Indian wedding and we can't help but wonder how opulent the celebrations will be. Considering the dreamy bridal shower at Tiffany's and the weekend bachelorette in Amsterdam, the #Nickyanka wedding will be one big party. 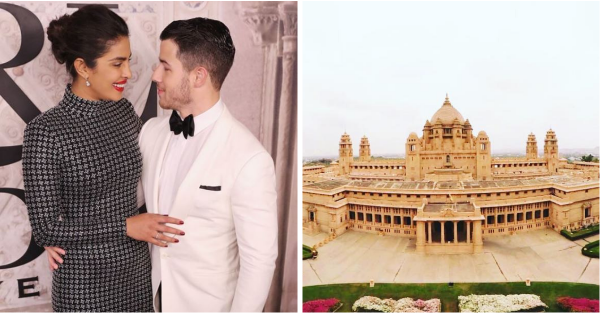 The couple is all set to get married in Umaid Bhawan Palace, home to the former royal family of Jodhpur. Set on the highest point of the city, Chittar Hill, the luxury five-star heritage hotel stretches across 26 acres of land and was the sixth largest private residence in the world. 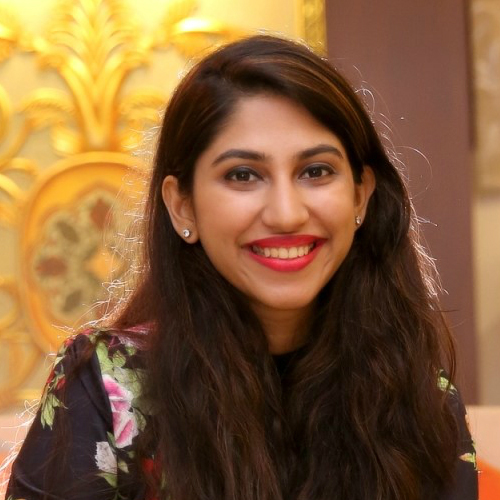 The wedding is surely going to be a regal affair as one night at the hotel, managed by Taj Hotels, can set you back by anything between Rs 43,000 to Rs 2,28,000, plus taxes. By that estimation, booking the entire hotel for a night will cost Piggy Chops a whopping Rs 43 lakhs. The fort, built between 1928 and 1943, has 347 rooms that are divided into two major wings. One wing continues to be the home of Rathore Dynasty of Jodhpur. It also houses a family museum, which houses a large symbolic flag given by Queen Victoria in 1877 to Maharaja Jaswant Singh. The second has been converted into a hotel. The classic cars of the Maharajas are also on display at the hotel and the property even has an exclusive throne chamber, a Durbar to meet the public (plebs! ), private dining halls and a beautiful ballroom. The palace will set the perfect background for what will prove to be the wedding of our dreams! They've even built a temporary helipad for all the guests to arrive. Now that's some serious moolah! Here are some mind-blowing pictures of the hotel! Taj Mahal in Agra is made out of the same palm court marble that has been used in the hotel. Umm, royal much? The hotel has 64 rooms that are divided into five categories! Look at the fancy pool you can take a dip in! If this doesn't de-stress you, what will? Look at those majestic peacocks! What a sight! For a truly awe-inspiring experience, you need to try the delectable food prepared by the chefs! Who wouldn't want to get married here? You need to check out more pictures of the hotel on their official Instagram account and double tap on each and every one of them!